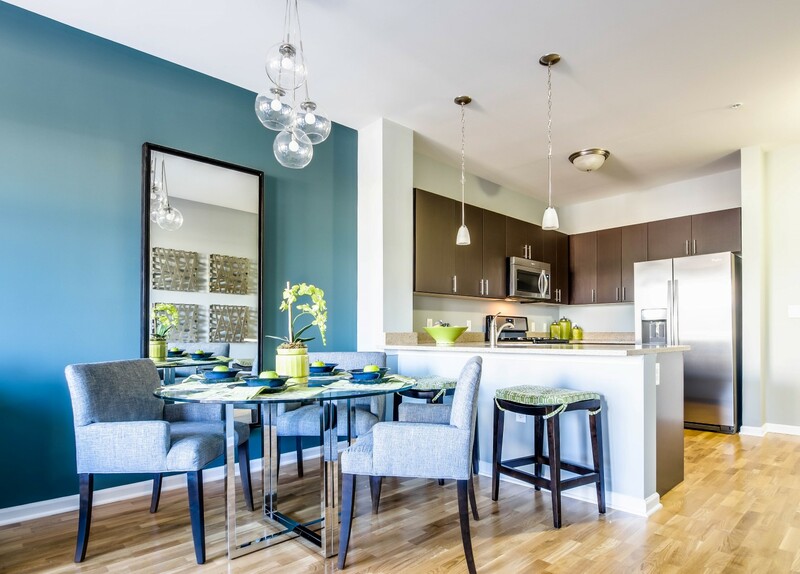 On the banks of the Passaic River, just blocks from the Harrison PATH station, renters are discovering the newest luxury rental community to open in Harrison’s emerging commuter-friendly neighborhood: Water’s Edge at Harrison (http://www.rentatwatersedge.com). Since grand opening last week, the Water’s Edge leasing office has been filled with renters eager to be among the community’s first residents. With immediate occupancy now available, renters can choose from a distinctive collection of newly constructed studio-, one- and two-bedroom apartments boasting contemporary interiors including hardwood floors in living areas, plush carpeted bedrooms, soaring 9-foot ceilings, and abundant windows. Located at 301 Dey Street, the luxury rental community is situated within a scenic, waterfront corner of Harrison, NJ that overlooks the Passaic River. Residents of Water’s Edge will enjoy a lifestyle rich in service and amenities, enhanced by the building’s commuter-friendly proximity to Route 280, the New Jersey Turnpike and complimentary shuttle service to the nearby Harrison PATH station. Rental residences in the four-story Water’s Edge building range in size from 545 to 1,232 square feet. Studio, one- and two-bedroom apartments boast spacious layouts and include the most upscale features and appointments found in the area, including hardwood floors in the living areas, oversized windows, abundant closet space, soaring nine-foot ceilings, and high-efficiency washer/dryers. Chef-inspired kitchens boast stone countertops, custom cabinetry, and an enviable collection of stainless steel appliances, which include a dishwasher and gas range. Private outdoor space is available and residents receive complimentary window treatments. Water’s Edge is a pet-friendly building. “We designed Water’s Edge to offer a complete lifestyle experience for our residents, one that is not only easily accessible by mass transportation, but also feels private and personal,” Ms. Hedden added. Water’s Edge includes all of the amenities that today’s sophisticated renter has come to expect. A 24-hour concierge is available to assist residents, as well as 24-hour on-site management and maintenance. 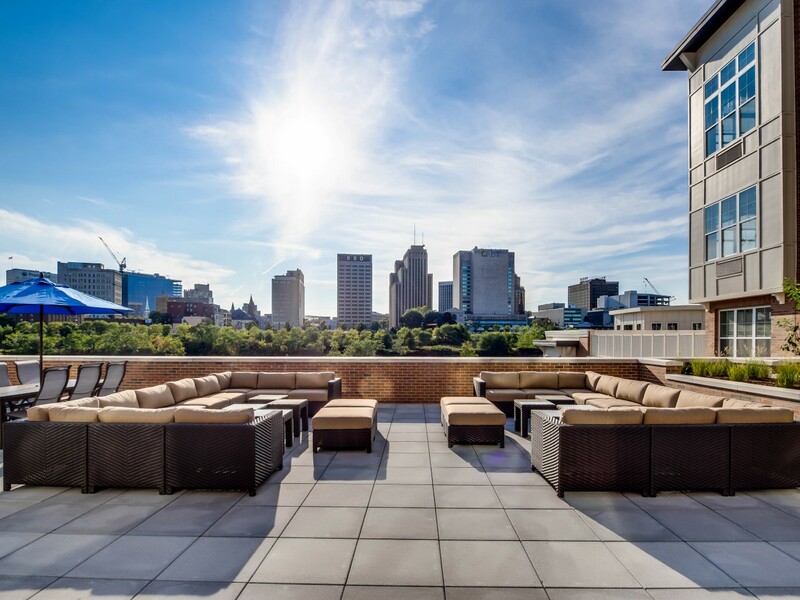 A state-of-the-art fitness center, WiFi business lounge, residents’ lounge, game room and landscaped terrace with heated outdoor pool, lounge seating and a fire pit are all included for residents’ enjoyment. The game room features a billiards table, shuffleboard and other activities, while the lounge includes a fireplace and a bar. Free WiFi access is available in all common areas. On-site covered parking is also available. Water’s Edge is managed by BNE Management Group. Rental prices start from the upper $1,400s for studios, the $1,700s for one-bedroom apartments and the $2,200s for two-bedroom apartments. The leasing office is now open 7-days a week, and immediate occupancy is available. For more information about rental opportunities, please visit http://www.RentAtWatersEdge.com or call 973-268-9778.